This program is for girls who are expressing a serious interest in gymnastics and is a prerequisite for the competitive team. Gymnasts entering this program should have some prior experience. Skills required: handstand, cartwheel, back bend and splits. Our girls gymnastics team is by invitation or tryout. The team is for gymnasts who have progressed through the YMCA class program or have successfully demonstrated a mastery of skills required for level 3, U.S.A.G. 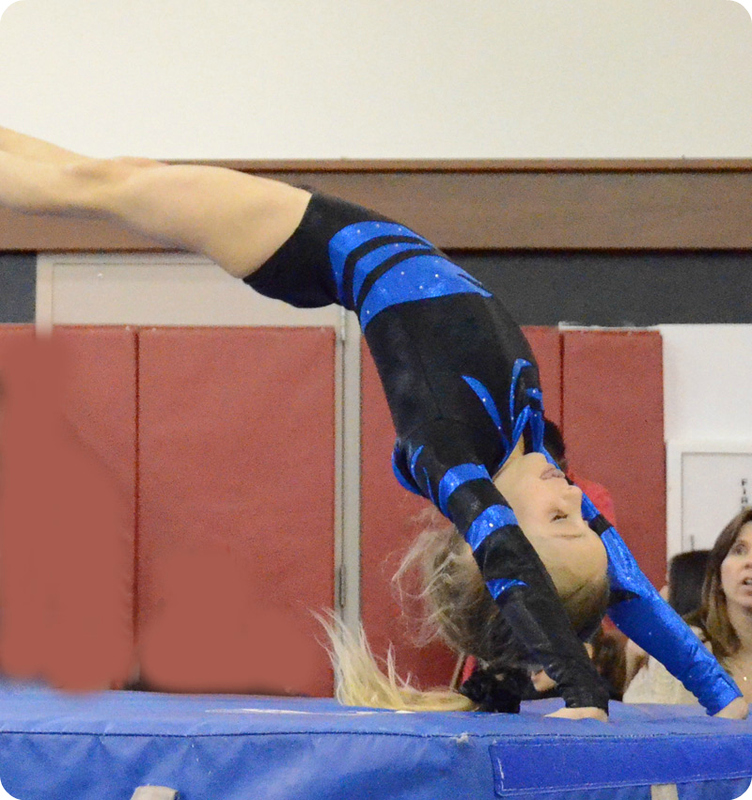 The objective of the team is to provide a recreational gymnastics experience. Opportunities to compete in up to ten meets per year will be available upon the discretion of the coach. Gymnasts participate either three or four days a week. Membership required. This group is designed for advanced gymnasts that do not want to participate on a competitive level. Continue your gymnastics skills with our friends in a fun and safe environment. Participation in this group is by invitation or try-outs only.